In our stores you’ll find the timeless and durable long-sleeved button up shirts in unique upscale plaids – 80% cotton, 20% wool. Made in Canada! 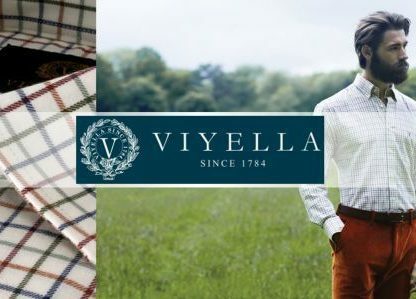 Viyella delivers classic men’s style throughout the year. You may also find select wool sweaters from the line (typically fall/winter seasonal).